After a thoughtful search process, Faith in Action’s Board of Directors chose the Rev. 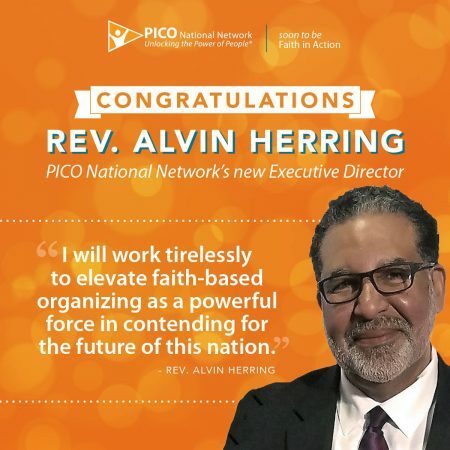 Alvin Herring as the third executive director in the organization’s 40-year history. Rev. Herring succeeds Scott Reed who will retire on June 1, 2018, ending a 40-year-tenure with the National Network.